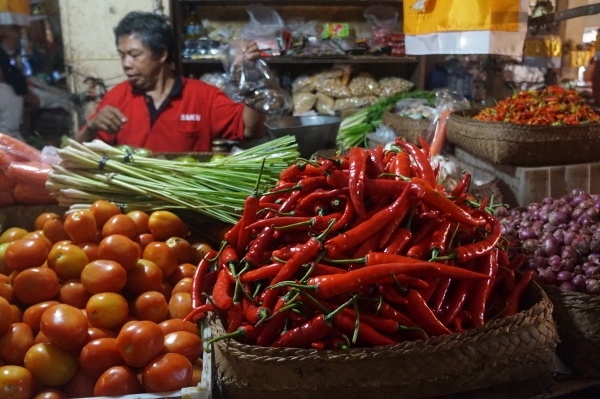 Cooking Indonesian Style | Hello Cool World! 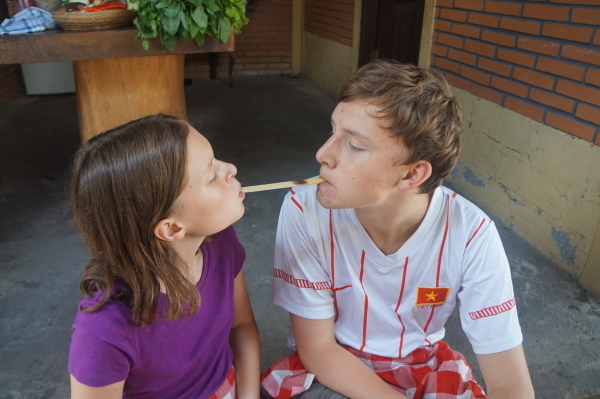 Isn’t it great being a kid? 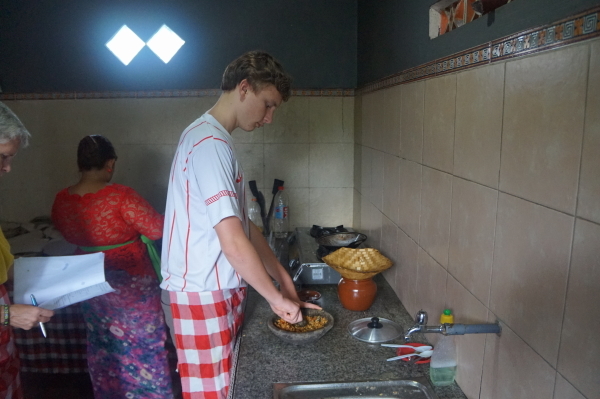 Your parents are there for you to cook some of the greatest meals known! All of your favorite dishes are at their fingertips and, by extension, yours. Or at least, they WERE. Unfortunately, expectations have since changed. 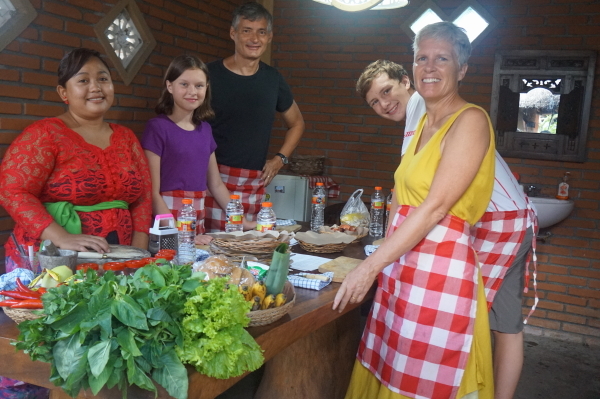 Recently, while in Bali, we took a cooking class on the finer arts of Indonesian cuisine. This had been one of my priorities! 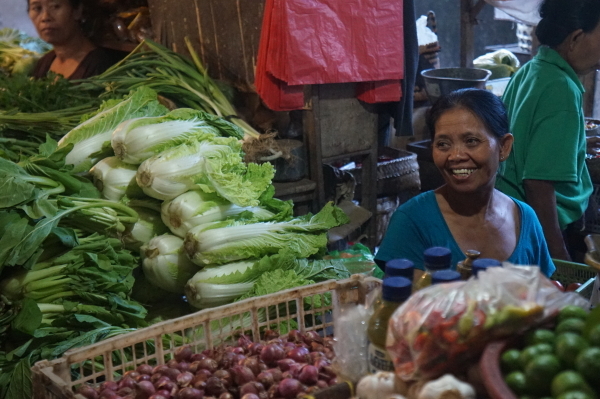 I have always wanted to learn how to make new foods, so when we met our host, Desak, I was quite excited to get started. 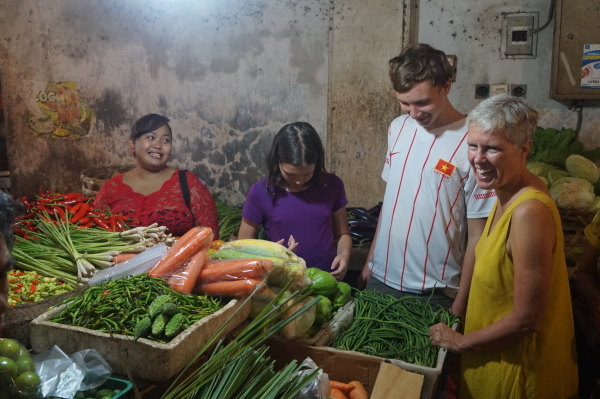 On the way to our instructor’s house, (where the course was to be held), we took a trip to the market to pick up a few of the ingredients (Desak had already purchased the remaining items). 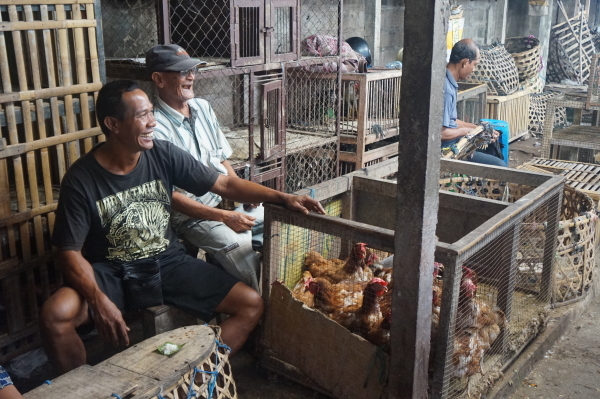 It was a typical Asian market, complete with all sorts of fowl and hawkers selling goodness knows what. 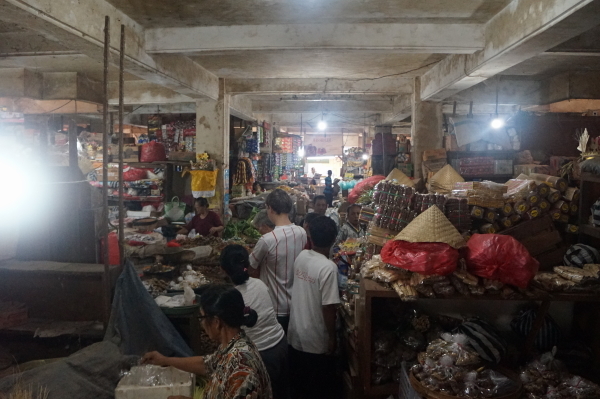 After purchasing palm sugar and fermented tapioca (as a snack), off we went. 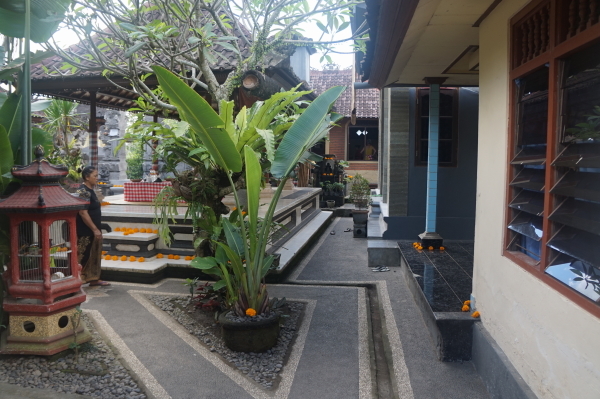 Arriving at Desak’s home, we were impressed with the layout of the space. 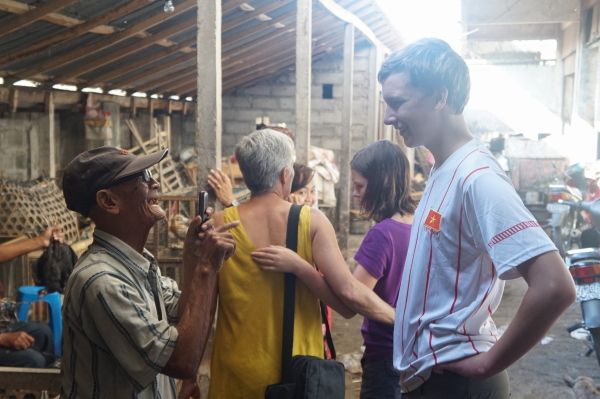 Our host and her family (which included herself, her husband and their two children, her grandparents, and two uncles, their wives and four children) all lived in the same compound and shared a kitchen, temple, and outdoor dining area. 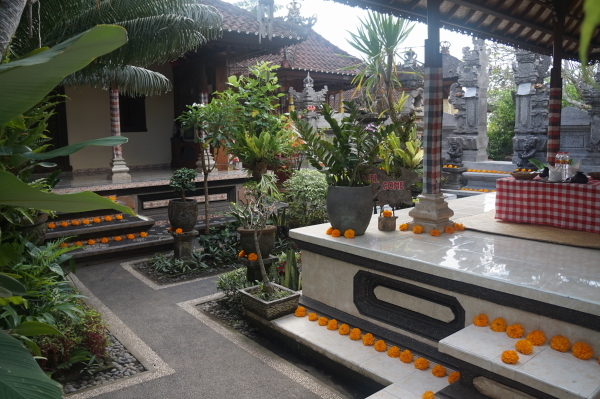 The peaceful atmosphere that met us was beautiful. But, we couldn’t linger long, we had cooking to do! We get ready to rumble! 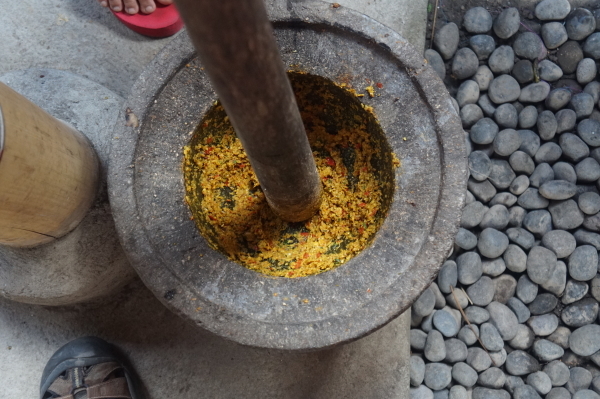 First we started by making Base Gede, or Basic Yellow Sauce. 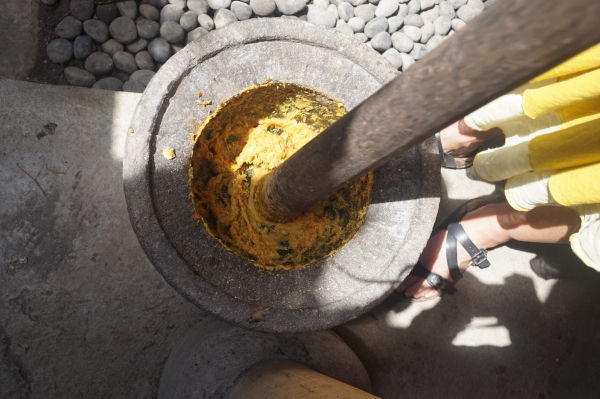 It was done mostly by chopping up spices, and herbs, and shallots, and then grinding them all up with a mortar and pestle. 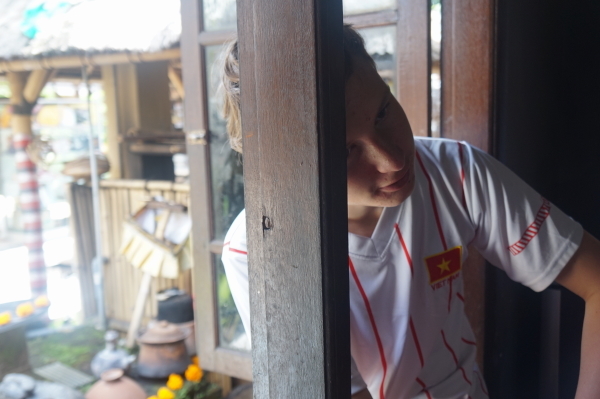 The result was a surprisingly savory reddish-yellow paste that would prove essential in some of the other dishes we were making. 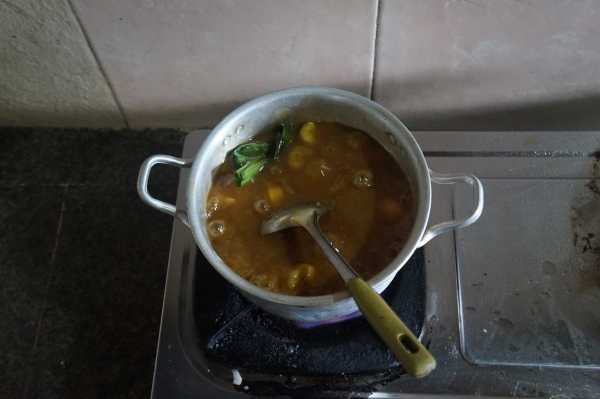 Next we made Young Jackfruit soup. Oddly enough, this one was really simple, but tasted amazing. 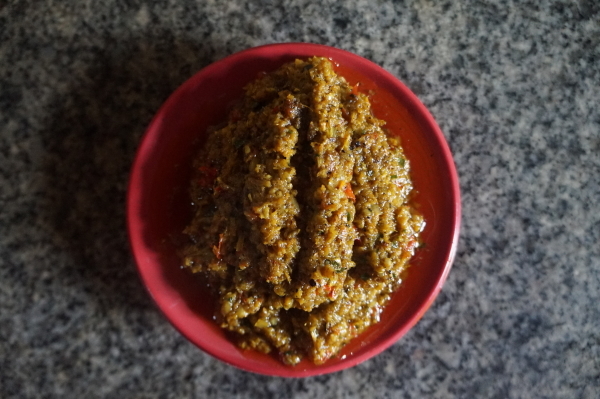 All you had to do was add jackfruit and Base Gede into water and it was pretty much done! No, really. That’s pretty much it! The taste however, was much more complex. 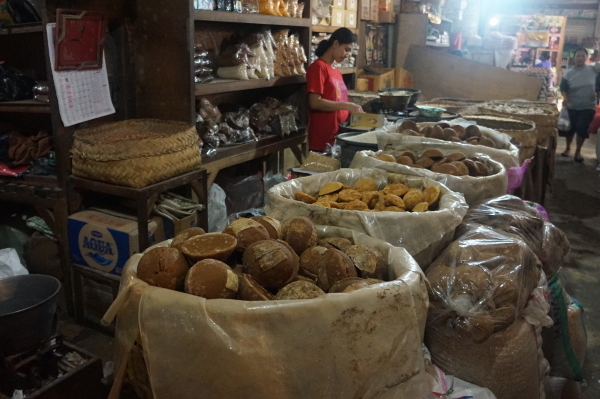 In it, all the different flavours of the Base Gede were quite pronounced. The jackfruit wasn’t at all flavorful, but added quite a bit of texture (it was essentially the boiled veggies in the dish). 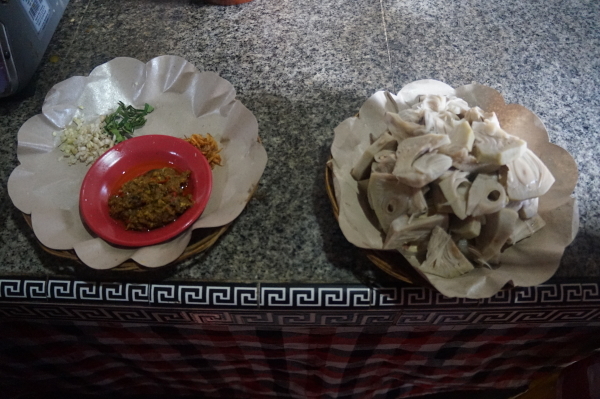 The next two dishes were quite similar. 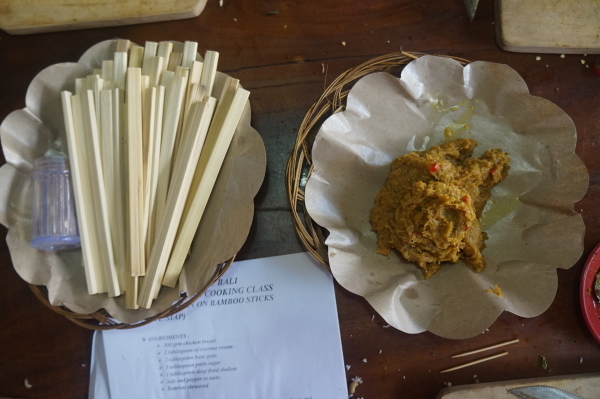 Both included mincing chicken very thin and adding (our good friend) Base Gede. The difference came in the preparation. 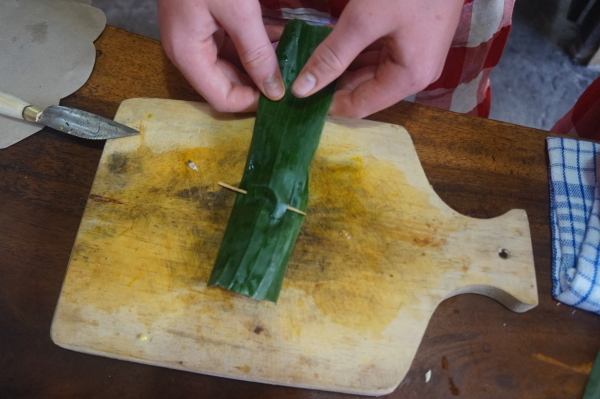 For the first dish chicken was rolled into a banana leaf, like sushi, and steamed. 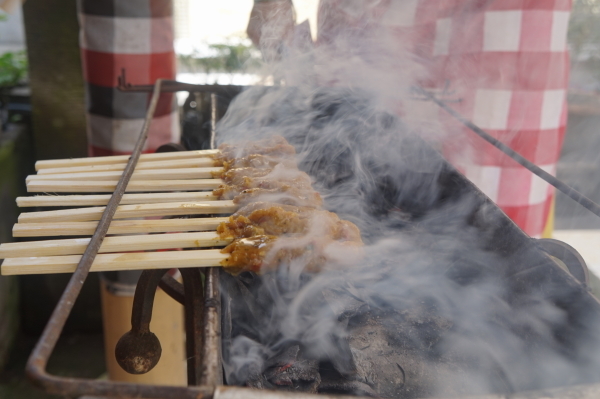 The second, Sate Siap, was wrapped around bamboo sticks and grilled. Although the ingredients were similar, the manner of cooking gave two very different flavors. 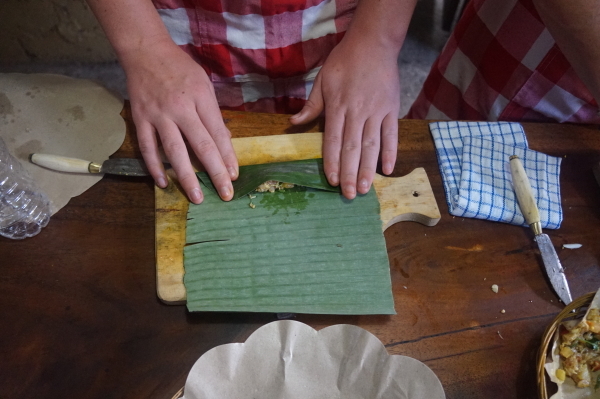 The steamed chicken in banana leaf was quite good and, once removed from its banana wrapping, resembled a kind of paste. 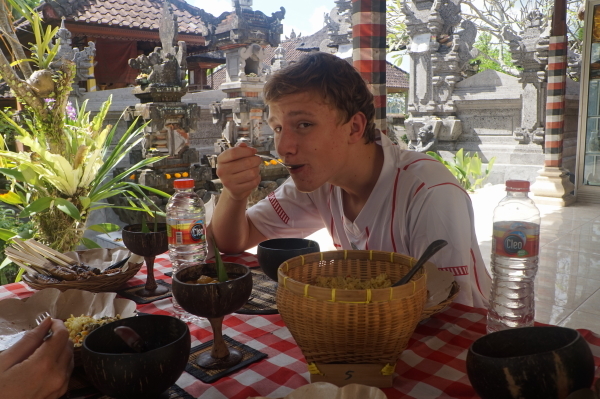 The texture was that of meatloaf, but the taste was mainly chicken with the Base Gede providing only a hint of flavor. 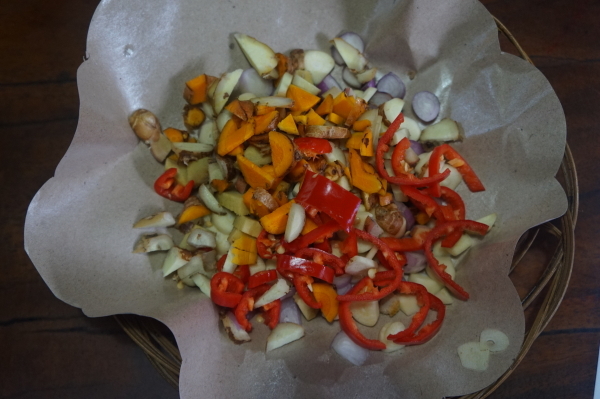 By contrast, the Sate Siap was quite reminiscent of a spicy shish kebab. 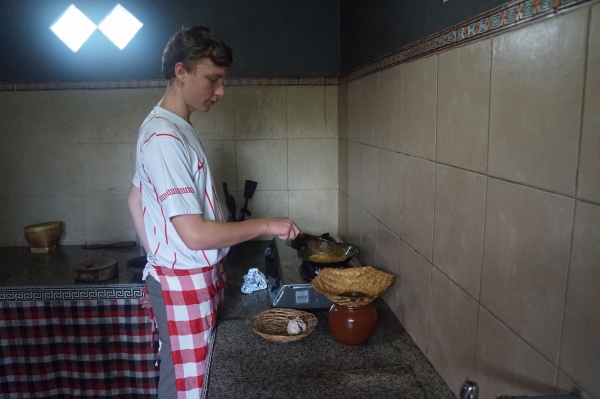 However, since the meat had been minced and then wrapped rather than skewered, it was much more tender and, in my opinion, better. Finally we moved on to our dessert, banana in palm sugar syrup. I know, just the name sounds amazing. As you may have guessed, this consists of adding sliced banana into a mixture of water, vanilla, brown palm sugar, and cinnamon. Then you let it simmer for a bit, giving it a slightly smoky flavor. Finally you put it all into a bowl and pour coconut cream on top. YUM! This mixture had a thick, sugary flavor that was only slightly cut by the banana. In short, there was no real contrast of flavors, which is not at all a bad thing! Man! 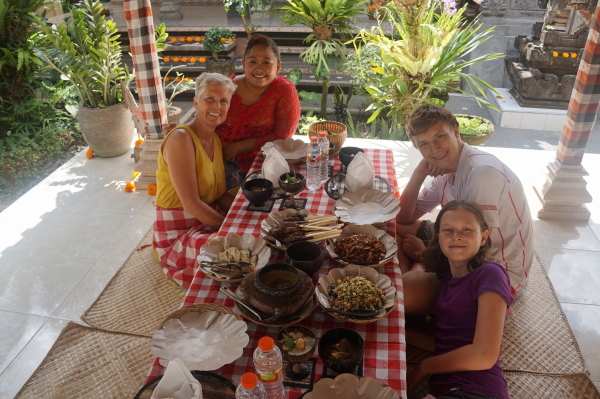 We had such a great time here preparing, and (mostly) eating Balinese food. I cannot wait to try these recipes myself. Yes, you heard me right mom, I may just have to do dinner one of these nights!